With the market for electronic health records predicted to be worth about $35.2 billion by 2019, the steady rise of data has increased the need to strengthen the software to make data more accessible, reduce errors and increase the ease of use. "You have two driving forces – demand and technological capabilities," Cathy Reisenwitz, a researcher with software firm Capterra, told Healthcare IT News. For many years, EHRs have been "aimed at satisfying regulators, not just what clinicians want or need," she said. That's changing, though, as developers work more to make health records more appealing to end users on both sides of the doctor/patient relationship. Better mobile interfaces, for instance, are "clearly desired by patients and physicians." 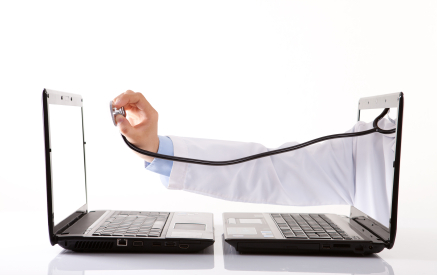 Reisenwitz laid out four EHR and other health IT trends the industry can expect to see in 2016. 1. EHRs are moving toward the cloud. Start-up costs for EHRs can prove burdensome for some institutions, while cloud-based tools offer minimal start-up costs and can make better use of providers' current resources. The cloud also enables better continuity of care and easier software updates. In the coming year, more and more EHRs will offer cloud services. 2. EHRs will improve the patient portal experience. Though patient portal usage got off to a slow start, it's been steadily gaining momentum. More providers will both offer and promote patient portals. Some may even have patients use the portals during office visits to begin getting their data into the system. And patients will start to see their value. 3. Telemedicine will finally find its stride. The telemedicine market is forecasted to exceed $30 billion in the next five years, as providers increasingly see the need to reach seniors and patients in rural areas. The mass adoption of wearables will promote telemedicine, as well, especially when patients are willing to share device data with providers. 4. EHRs are going mobile. More and more providers want to provide medical care from their smartphones, and more patients want to access data through mobile devices. To accommodate this need, EHRs will will offer better mobile design and functionality. Scheduling and patient chart updates will align with prescribing functions on mobile devices, as well. Providers will need to overcome some hurdles for these trends to take hold, Reisenwitz said, noting that, at the moment, "there's a huge space where the data isn't able to be fully utilized, as it's unstructured or poorly structured; therefore not easily accessed nor interoperable." The other big EHR challenge is cybersecurity, she added, stoking fears that are preventing even wider acceptance of mobile and cloud platforms.